You’ve probably heard of Botswana, but have you heard why it’s so highly favored among travelers? Home to a wealth of wildlife, incredible sunrises, and friendly locals, Botswana continues to hold steady as a great place to vacation. So read along and find out what all the rave is about. Here are six reasons travelers love Botswana and why you should book your next flight to this beloved country. When hotels and safari game lodges prices are a bit steep in neighboring South Africa, you might want to look over to Botswana for a slightly more affordable alternative. And we’re not talking about some rinky dink hotel with no air conditioning. You’ll stay at pristine resorts and luxury campsites for a deal. But if even the slightly more affordable hotels and luxury safari camps are still too high, you’ll find plenty of no-frills campsites for a small fee right in the heart of national parks. In other words, you can get front row seats to see herds of elephants or zebras grazing without shelling out the big bucks. While you can do safari game drives at many national parks throughout southern Africa, not all of them have the perks of doing it by water. 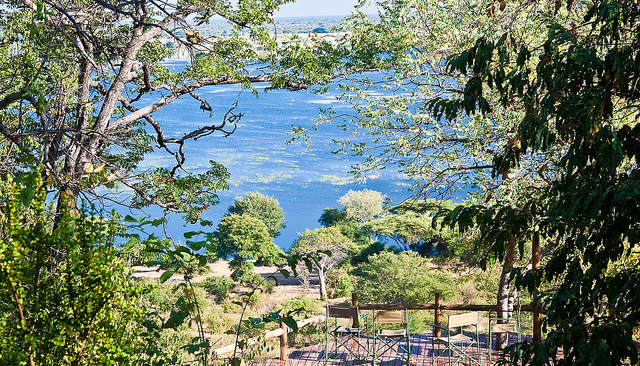 Botswana is home to Chobe River, where safari tours are often led on houseboats. Guests can watch hippos and crocodiles peek their heads through the river to inspect as you sail by. 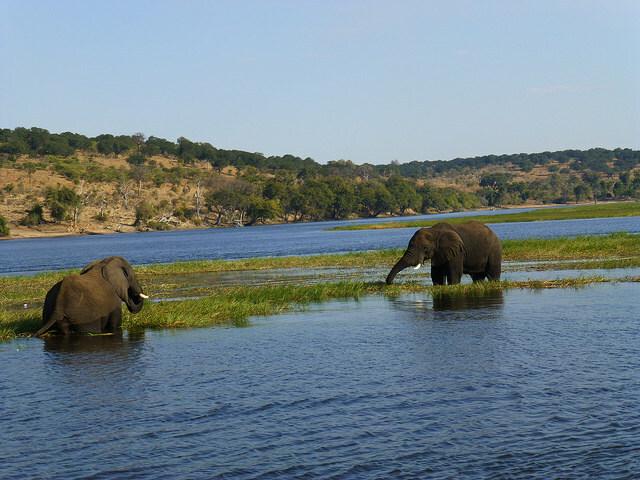 Because you’re in the water, you’re more likely to spot game animals coming to the riverbank to bathe, so it’s common to spot elephants, zebras, antelopes and countless more animals during your tour. Another benefit of doing a cruise on a houseboat is that guests can spend the night and admire the stars in the the unpolluted sky. Don’t expect to get swarmed by tourists when you visit the parks. You won’t have to fight a sea of travelers clicking furiously away on their cameras when you’re just trying to enjoy a serene moment in nature. The country has less mega resorts and much more smaller, intimate accommodations, meaning you’ll have more peace on your trip. You might be put on a waiting list on some of the hotels, but its well worth the wait. Not to mention, you’re less likely to fall into tourist traps. 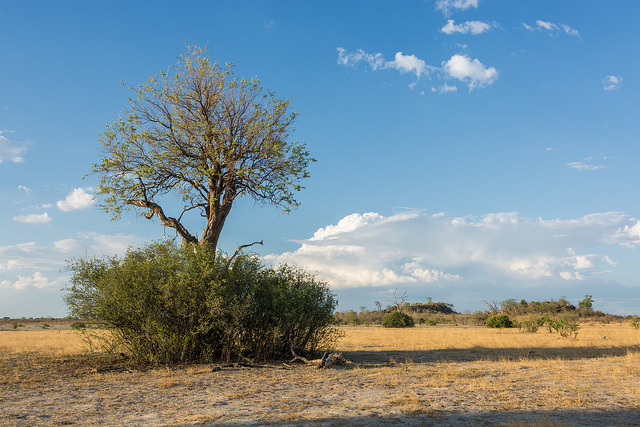 Botswana is known for being sunny year-round, so you can feel good about booking your trip, knowing the risk of having drab weather is really low. The country does have a rainy season, but even that tends to be erratic. For example, you can experience heavy rain on one side of the park, but keep driving a few kilometers away and you’ll be out in the clear, blue skies. The sub-tropical climate means it’s warm during the day but gets cool at night. 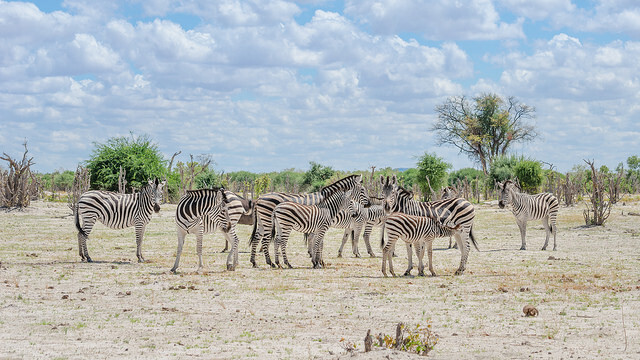 You’d be hard pressed to find as impressive of a zebra migration anyplace else in the world. 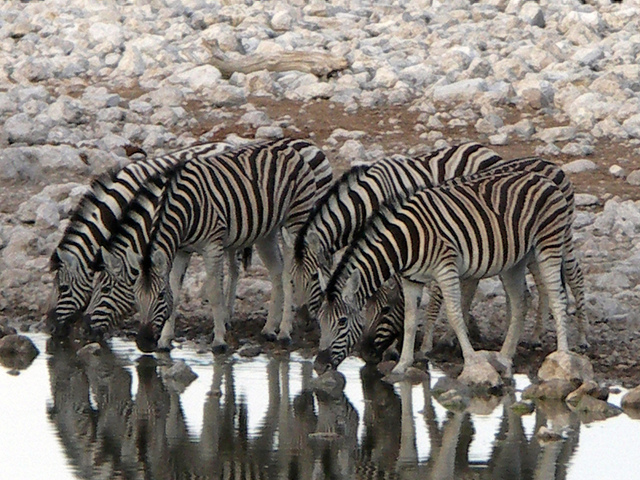 During rainy season (November), up to 25,000-30,000 zebras migrate for hundreds of miles. The view is spectacular when you see hordes of the black and white creatures in large numbers. Snap some photos, take a selfie and savor this unique and once-in-a-lifetime moment. 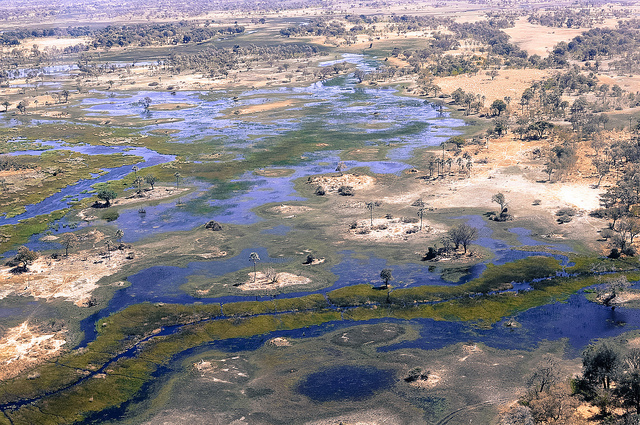 At more than two million hectares wide, the Okavango Delta is worth the effort and time to explore. Residents at the delta include lions, elephants, giraffes, leopards, baboons, hyenas, rhinos, cheetah, nile crocodiles, monkeys and many more. In addition to the carnival of game animals you’ll find, there’s also jaw-dropping nature including the salt pans, where you’ll see vast, open spaces of white patches and occasional plants. The delta has numerous small “salt islands,” so guests can go kayaking and explore more of the under-the-radar land.